FirePlug are proud to announce that we have been selected to be distributors within the south west for the sale of Blue60. 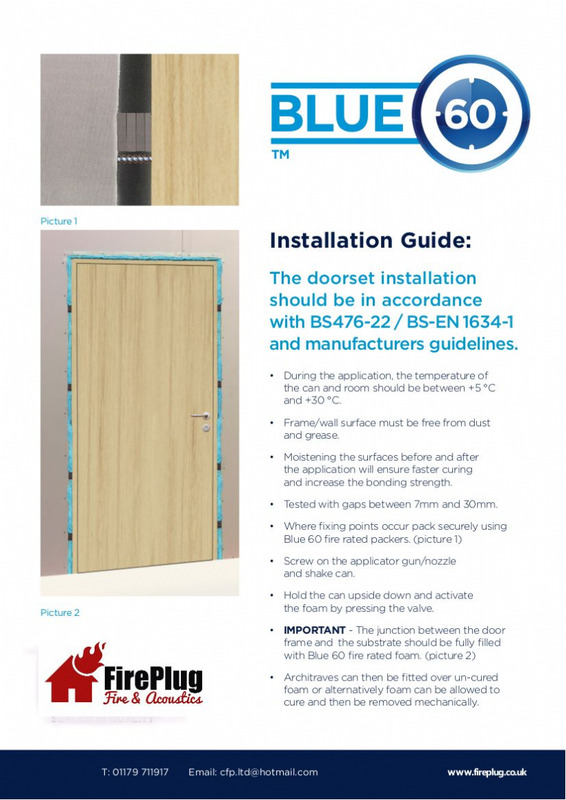 If you have any queries please do not hesitate to contact our sales team who are ready to help in anyway we can. 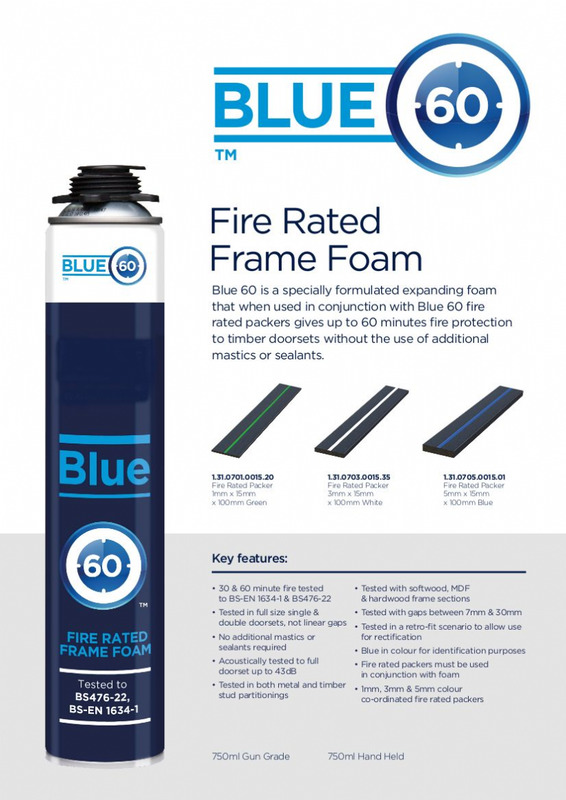 Blue 60 is a specially formulated expanding foam that when used in conjunction with Blue 60 fire rated packers gives up to 60 minutes fire protection to timber doorsets without the use of additional mastics or sealants. 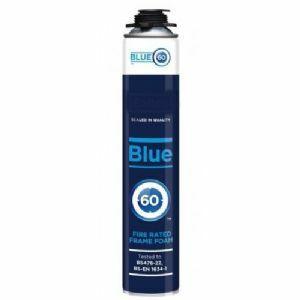 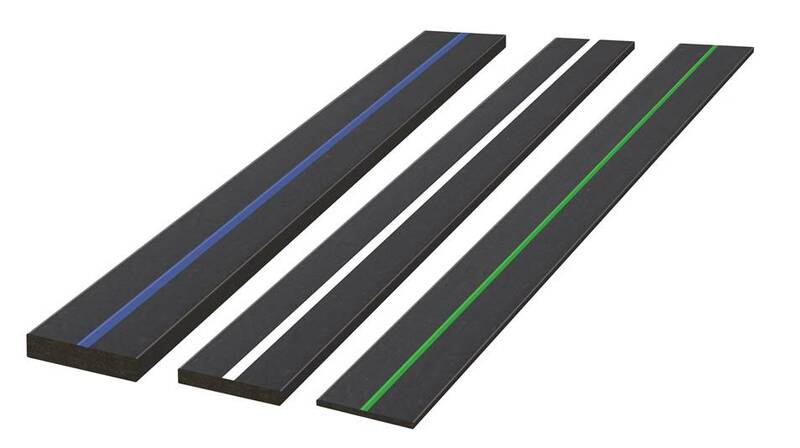 How to order Fire Rated Packers For Blue60?